This page presents a number of studies, reports and other documents commissed or produced to support the development of various Planning Policies. After a section giving some context for the Evidence Base you will find set of A to Z Links to the documents to make navigating through the list easier. Documents are sorted alphabetically according to the title. However, a number of keywords are included where helpful other relevant information (such as the subject). You can therefore find documents by using your web-browser's in-page search function (press the [Ctrl] and [F] buttons). The Bath & North East Somerset Local Development Framework (LDF) incorporating the Core Strategy and relevant documents of the Regeneration Delivery Plans (RDPs) will have a major impact on the District. This will include altering property values, improving access to housing, jobs, local services and provision of open space. There will be impacts on environmental or cultural assets and how the District contributes to mitigating and reducing climate change. It is therefore essential that the policy framework is based on a robust evidence base. The studies listed below are a starting point and conclusions will need to be tested through the evolution of the Core Strategy. The determination of the soundness of the Core Strategy will be dependent on the Council’s demonstration that the planning policy options selected are founded on an up to-date evidence base and backed up by appropriate information. A number of topic based studies have therefore been undertaken and others are in preparation. Some of these studies provide data whilst others suggest a strategy to the Council. These strategies will be taken into account in formulation of the council’s policy documents and will be progressively released as they are completed. The publication of these studies is not an endorsement by the Council as the emerging policy documents may or may not accept the recommendations. Furthermore, some of the studies have tested different development scenarios in order to assess the relative impacts. Testing these scenarios does not imply endorsement by the Council. In preparing the Core Strategy and RDPs, the Council will assess the various recommendations arising from the various topic based studies and formulate a co-ordinated policy framework. The Council will therefore not consult directly on the studies. Instead, there will be wide community engagement on how the Council responds to the studies through the LDF/RDP work. These studies will be used to inform the development of the policy and delivery framework up until 2026 and it will be necessary to review them in due course in conjunction with future policy reviews to take account of changing circumstances. Some of these studies have been prepared within the last few years since when there has been a significant change in economic circumstances. The evolution of this Core Strategy will take time and studies will need reviewing and updating to take account of this change. The developing policy options will need to take account of this change and some of the studies will need to be updated as a consequence. This page gives access to studies that form part of the LDF / RDP Evidence Base via topic papers, direct links or links within summary documents grouped by subject. Bath Building Height Strategy (September 2010) [Additional Keywords: Landscape; Urban Design]: Part 1 - Executive Summary; Part 2 - The Bath Context; Part 3 - Strategy; Part 4 - Appendices. Core Strategy Flood Risk and Sequential Test Update, March 2013. Appendix C - Bath; Keynsham; Midsomer Norton. Appendix L - Development Site & Compensatory FDA Location Plans - Bath Figure B1; Kensington Meadows Figure CSA 1; Keysham Figure K1; Midsomer Norton Figure MN1; Radstock Figure R1. Retail Floor Space Capacity Assessment (GVA, 2011) - Report and Appendices. Retail Strategy Report, Annex A: Quantitative Need for New Retail Development and Annex B: Retail Review and Customer Profile Report. All reports are available to download below, please note that due to the file sizes and format, the associated maps for Level 1 are not currently available on the website. The Level 1 SFRA including maps can be viewed in Council offices, on request. The Level 2 SFRA provides additional information by settlement, providing greater understanding of the factors contributing to flooding in the main settlements. This provides guidance for Plan-Making and Development Management. Report; Key Map - Map F Flood Zone; Key Map - Map FF Functional flood plain; Key Map - Map A2 Flood depth; Key Map - Map A3 Velocity; Key Map - Map C Climate change; Key Map - Map L Surface water flooding. SFRA Level 2 for Keynsham (May 2009): Report; Key Map - Map F Flood Zone; Key Map - Map FF Functional flood plain; Key Map - Map A2 Flood depth; Key Map - Map A3 Velocity; Key Map - Map C Climate change; Key Map - Map L Surface water flooding. 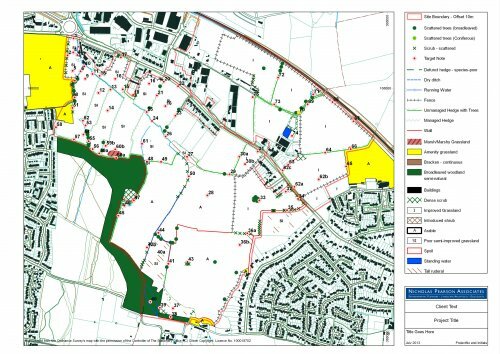 SFRA Level 2 for Midsomer Norton and Radstock (July 2009): Report; Update, Capita Symonds, June 2011; Key Map - Map F Flood Zone; Key Map - Map FF Functional flood plain; Key Map - Map A2 Flood depth; Key Map - Map A3 Velocity; Key Map - Map C Climate change; Key Map - Map L Surface water flooding. Bath and North East Somerset Strategy Housing Market Assessment (SHMA) Update 2013, Addendum 1a (July 2013); Addendum 1b (July 2013); Addendum 1c (September 2013) and associated spreadsheet of headship rates.